Please fill out the case evaluation form below and Submit Now, or call Burg Simpson directly at 513-854-1765 today, to speak with a Consumer Litigation Attorney. Did you buy a defective product and the seller will not honor its warranty? Did you buy a product and what you received was not what was advertised? Are you the victim of a data breach because a company you did business with got hacked? Burg Simpson can help! Do not wait to call the consumer protection lawyers at Burg Simpson to discuss your legal rights. When you choose to do business with a company by buying its products or entrusting them with your personal information, you expect that the business will be honest, honor its word, and protect your data. When those expectations are broken, you can lose your hard earned money or suffer the emotional trauma of knowing someone else has your confidential information. The consumer protection lawyers in Burg Simpson’s Cincinnati, Ohio office can help you with the legal assistance you need to get justice, file a lawsuit, and even pursue a class action. Call 513-852-5600 right away to speak with a consumer litigation attorney before it is too late. You can also fill out a Free Case Evaluation Form Here. WHAT IS A CONSUMER PROTECTION CLAIM? Most states have enacted laws to protect consumers against unfair sales practices and irresponsible storage of customer information. If a business owner violates these laws, they can be brought to court and held responsible for the harm they have done to their customers through a consumer protection lawsuit. Where a business owner’s actions have harmed many individual consumers, the consumers may be able to band together to file a class action. Class actions are civil lawsuits that allow a few individuals to bring legal claims on behalf of a large group of people who have been harmed in similar ways. This gives consumers strength in numbers to level the field against the business that has done them wrong. 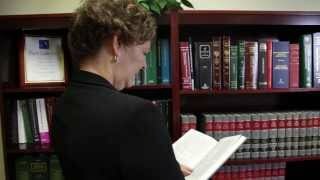 WHAT TYPES OF CONSUMER PROTECTION CLAIMS DOES BURG SIMPSON HANDLE? Accurately represent the characteristics of a product or service. Make no misrepresentations about the nature of their business, their products or services, the prices of their goods, or the terms of a transaction. Not take advantage of a consumer’s illiteracy, mental disability, physical disability, or inability to understand the terms of a sale. Not sell a product or service knowing the consumer cannot afford or substantially benefit from it. Disclose important exclusions and limitations in advertisements. Not sell used items as new. Not use bait-and-switch tactics to trick consumers into paying higher prices. If a company engages in unfair sales practices, the injured consumer is entitled to compensation. Furthermore, if the company’s unfair sales practices have affected many consumers, the injured consumers may be able to band together to file a class action lawsuit. If you have been the victim of an unfair sales practice, call Burg Simpson’s Cincinnati, Ohio office at 513-852-5600 or fill out a Free Case Evaluation Form to speak with a consumer protection attorney now. A warranty regarding a product you purchase is a promise about the quality of that good. When purchasing some products, such as cars, the sales contract may include certain warranties. For example, the sales contract may provide that the parts of the product are guaranteed to last for a certain period of time and if they do not, they will be replaced by the seller or manufacturer. Other warranties are not expressly written or spoken, but are implied. For example, when a good is sold, there is often an implied warranty that the good is fit for the ordinary purpose for which it was sold. Similarly, if you tell a seller that you need an item for a particular purpose, and the seller directs you to a certain product, the seller impliedly warrants that the product is fit for the purpose you discussed with the seller. If the product you purchased fails and the seller or manufacturer does not honor their warranties, you can hold them responsible. 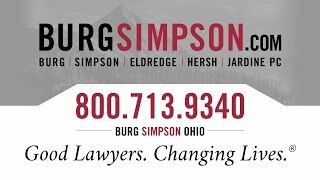 Call Burg Simpson’s Ohio office at 513-852-5600 and speak with a civil litigation lawyer now or fill out our Free Case Evaluation Form. Hackers are always on the prowl, trying to steal everything from your passwords to your Social Security number. Corporations know this. Therefore, if they are going to collect your private information, they have a duty to keep it secure. When a company fails to secure your data and it is compromised by hackers, you can hold the company accountable. Many states have robust consumer protection laws. Ohio, for example, has a data security breach notification law that requires companies that own or license confidential personal data to notify customers anytime a breach is detected, in addition to directing an investigation to determine the likelihood that any personal information has been or may be misused. If the breach involves more than 1,000 people, companies also must notify the national credit reporting agencies. If you have been notified that your confidential personal data has been stolen or that a company with which you do business has suffered a data breach, call Burg Simpson’s Cincinnati, Ohio office at 513-852-5600 and speak with a consumer law attorney today or complete a free case evaluation form. Burg Simpson has a national reputation for standing up for consumer rights in courtrooms across the country. With seven offices in six states and more than 60 attorneys, Burg Simpson has the resources to fight for individual consumers against the biggest corporations in the United States. The consumer protection attorneys in Burg Simpson’s Cincinnati, Ohio office are part of Burg Simpson’s dynamic team serving the people of Ohio, Kentucky, and the nation. The lawyers in Burg Simpson’s Cincinnati office have a history of success protecting consumers in the mid-west and throughout the country. For example, Burg Simpson’s Ohio attorneys have successfully pursued class actions against the Cincinnati Bengals over seat licenses for Paul Brown Stadium and against Chubb Insurance, Co. on behalf of farmers who bought drought insurance. They can help you too! Call the trial attorneys in Burg Simpson’s Cincinnati office now at 513-852-5600 or fill out our free case evaluation form now so we can discuss your case with you.